He is the ideal prototype for what a captain should be, a player whose contributions aren't just limited to the dressing room and the rink. Long-rumored to be the one taking over the reins as team captain of one of hockey's most storied teams, Brian Gionta finally saw it become official when the Montreal Canadiens announced the veteran forward as their leader on September 29. The New York native becomes the 28th player in franchise history to wear the “C", succeeding Saku Koivu who assumed that role from 1999 to 2009. Gionta, one of three assistants named at the start of the 2009-10 season, will have defencemen Andrei Markov and Hal Gill assisting him in his duties. Respected for his leadership on and off the ice, as well as his commitment to the community, Gionta is entering his 9th NHL season and his second with the Canadiens. Signing as a free agent on July 1, 2009, his first season with the Canadiens was a positive one, as he led the team with 28 goals, including a team-best 10 power-play markers. He also registered three game-winning tallies and recorded a team-high 237 shots on goal. Since his NHL debut in 2001, Gionta has appeared in 534 games recording 180 goals and 358 points. Gionta recorded 63 of his goals on special teams, with 53 power play goals and five shorthanded markers. A three-time finalist for the Hobey Baker Award as the U.S. Collegiate MVP, Gionta qualified for the playoffs in each of his eight NHL seasons, winning the Stanley Cup as a member of the New Jersey Devils in 2003. He has netted 55 points, including 28 goals, in 86 career playoffs games, while averaging 18:07 of ice time. The right winger was a third-round selection of the Devils, 82nd overall, in the 1998 NHL Entry Draft. That year, he was named Hockey East Rookie of the Year (NCAA) while with Boston College, where he also wore the captain's jersey. Gionta was twice a member of Team USA at the World Junior Championship (1999, 2000) and also played in two World Hockey Championships (2001, 2005). Blessed with speed, stamina and offensive savvy, Gionta, in spite of his individual accomplishments, is the epitome of a team player, a humble human being that never loses sight of team success. “My focus has always been on doing what I can to help the team do well,” said Gionta, who idolized Hall of Fame inductee and long-time NHL standout Pat LaFontaine, a U.S. Olympian in 1984 and 1988. Still, Gionta has always been a standout whenever he takes to the ice. At the 1998 World Junior Championships, Gionta was second on Team USA with eight points (five goals, three assists) in seven games. He played at the Junior Worlds in 1999 and led the tournament with 11 points, including six goals in six games. Gionta was the 1999 recipient of the Bob Johnson Award for recognition of excellence in international hockey. He made his senior-level debut at the 2000 World Championships and also played for Team USA at the 2001 World Championships. At the Worlds in 2005, he scored two goals and had one assist in seven games. Now, he'll be leading a team eager to build off last year's success. 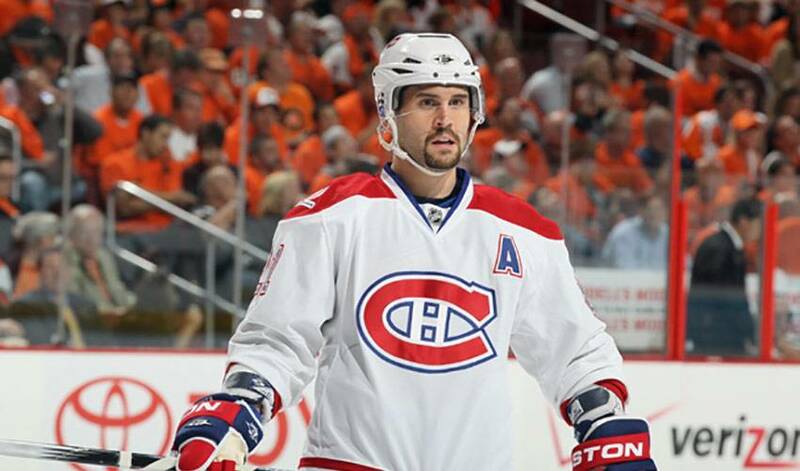 Gill isn't the only one who believes Gionta is an ideal choice for the role. Brian Gionta is on a mission – and he wants nothing more to mine gold at PyeongChang 2018. Sam Gionta still can’t quite wrap his mind around how quickly his son’s NHL career has gone by. He knew he’d be reminded of it again when the Buffalo captain skated in his 1,000th NHL game on March 27. And he was. Brian Gionta counts down his top five hockey stars that left a mark on him and the sport. Of the players he chose, the he has met four of them, and even has one of the goalie's sticks.